Skye Gravestones | J. Mackinnon. R/1187 Able Seaman/J. 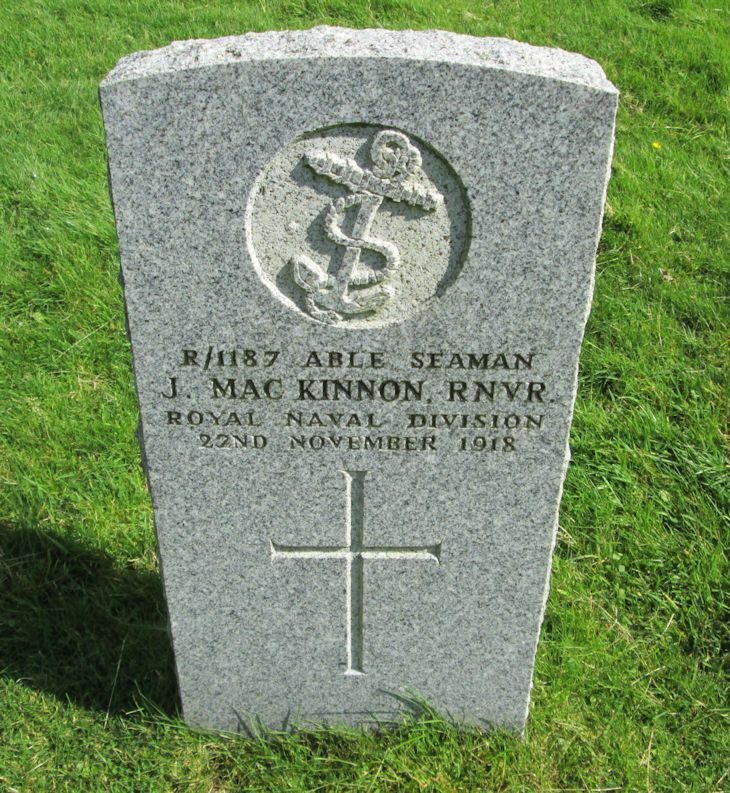 MACKINNON, RNVR/Royal Naval Division/2nd November 1918. Picture Added on 10 April 2014.